Before the original Hyperdunk launched in 2008, basketball footwear was focused on innovation and performance, but also intently set on delivering style, flash and aesthetic. While the latter of those elements still played a crucial role, the Hyperdunk put performance and innovation at the forefront like never before. 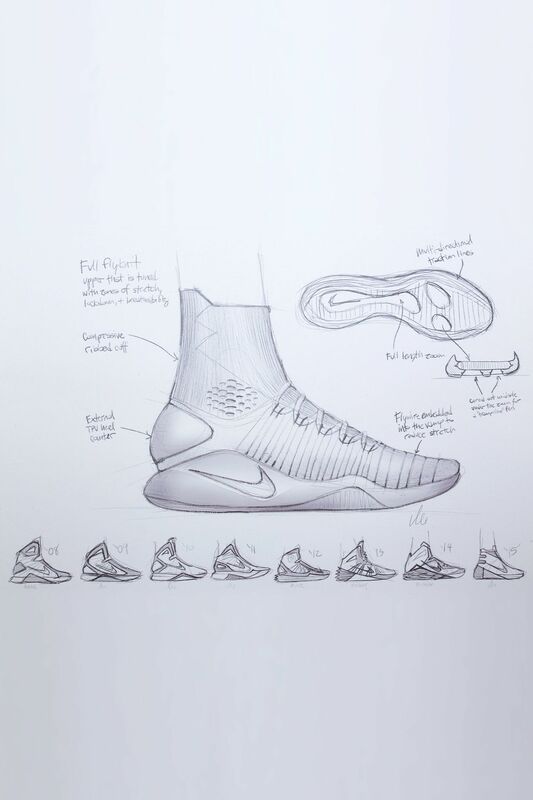 Nearly a decade into the lineage, Nike Basketball Design Director Leo Chang continues to play a pivotal part in leading the charge ignited when design veteran Eric Avar crafted the Hyperdunk ‘08. Building on the original groundwork laid by Avar, Chang brings the latest iteration of the silhouette to life with the Hyperdunk 2016 Flyknit. 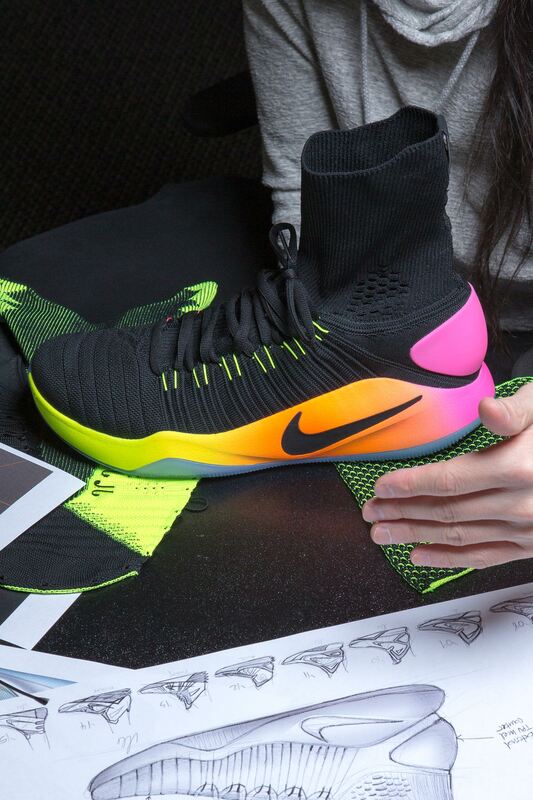 For Chang, the ultimate Hyperdunk design began with the cushioning. Considering all things preferred by basketball players from a performance standpoint, Chang knew he had to go with Zoom Air, a Nike cushioning technology that has long been a signature staple. While Zoom Air became the pivot point, it was more about how the technology was utilized. “It was really about how we try to unlock it a bit. We weren’t creating a new Zoom bag, but how we created the geometries around it was new,” explained Chang. This idea of unlocking Zoom Air and the bounce it provides led Chang to the idea of coring out the sole. “I thought about this idea of 'coring out' around the whole entire pod of the Zoom bag, the key high-pressure zones around it, so the shoe gives you this sort of trampolining effect,” he detailed. 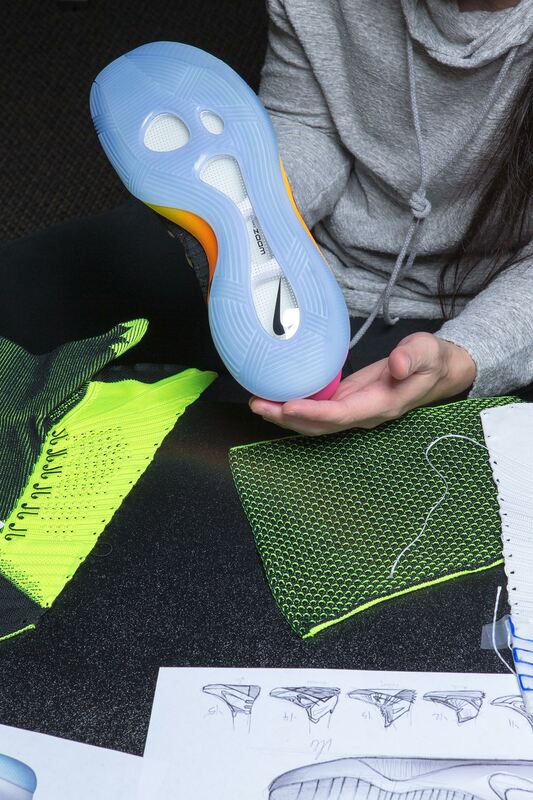 When it came to evolving the upper, the first thought that hit Chang was creating a Nike Flyknit pattern just for basketball and closer to the true fit created by the technology in other models. “The goal was not to reinforce it as much as we have in the past, like with other models on the inside, so you can let the knit fit a bit truer,” he said. 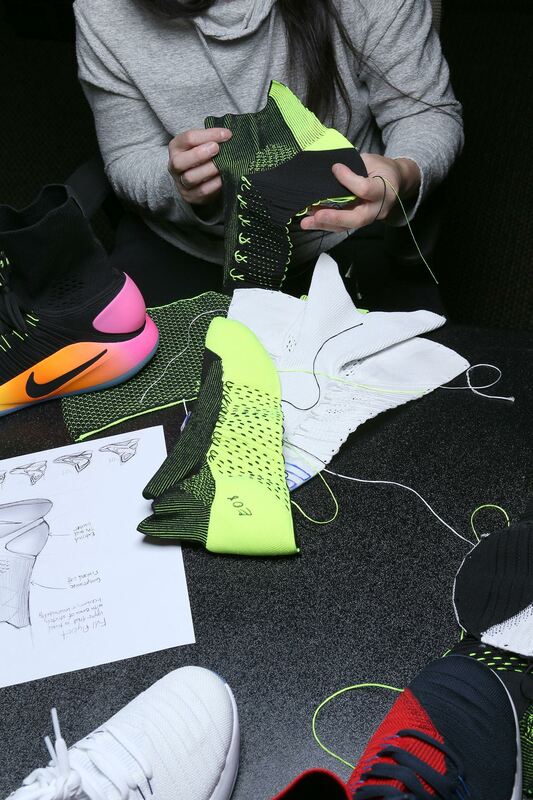 But while a flexible, lightweight and breathable Nike Flyknit upper is extremely beneficial, the rigors of basketball play test the nature of knit, since naturally the material wants to stretch or elongate. To combat this, Chang utilized Flywire in the most efficient way possible. “We looked at how to solve stretch with Flywire cables. They kind of double up and wrap around the foot in the midfoot section, totally integrating the package,” he explained. 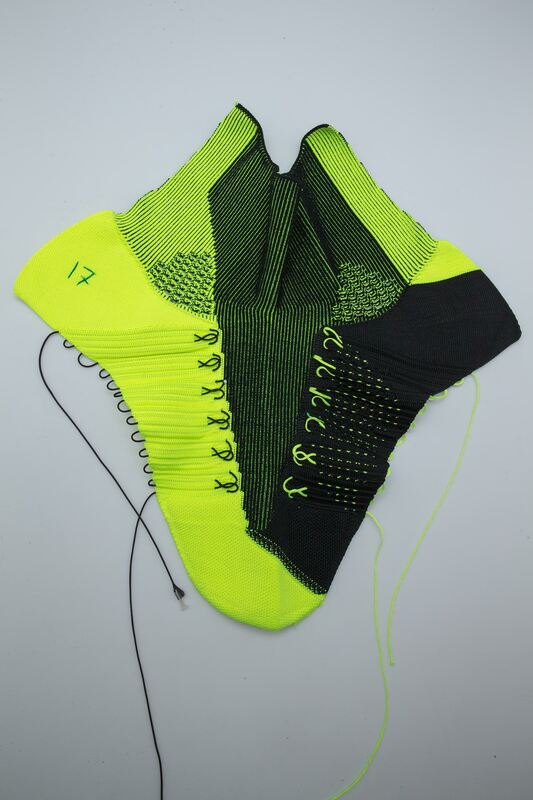 “For every pull, there are about four cables more spread out and evenly distributed in the midfoot.” The Flywire cables also spread into the vamp area, working in unison with the Flyknit to reduce side-to-side stretch. The final chapter with the upper came in the form of the unique collar. “We wanted to really give that nice hug feel without getting bulky with it. I wanted it to be tapered around the ankle. 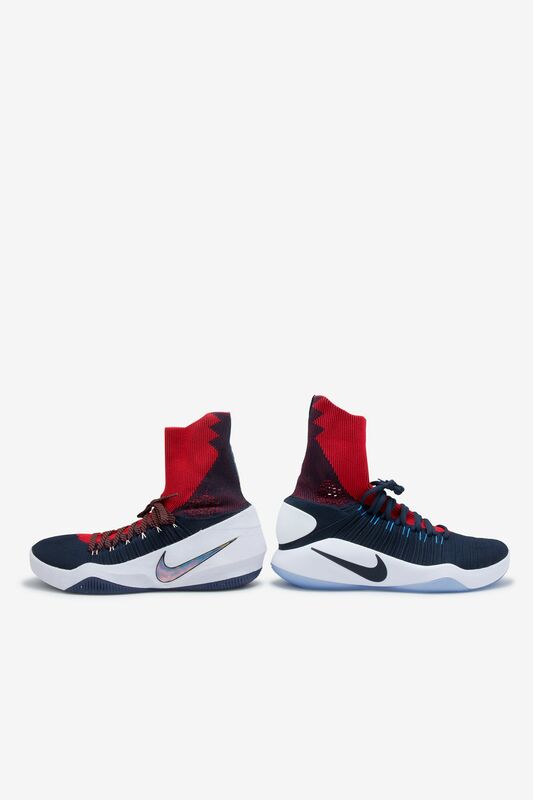 The worst thing you can have is a puffy collar on top of already puffy socks, since some players double up on socks.” The new take on the Nike Flyknit collar adds an element of customization for wearers, allowing them to fold the component down without compromising the shoe’s performance. In retrospect, the Hyperdunk lineage has helped catapult some of Nike’s most innovative performance technology into the ever-growing world of hoops, from Nike Lunar cushioning in the Hyperdunk ‘08 to Flywire and now Flyknit in 2016. 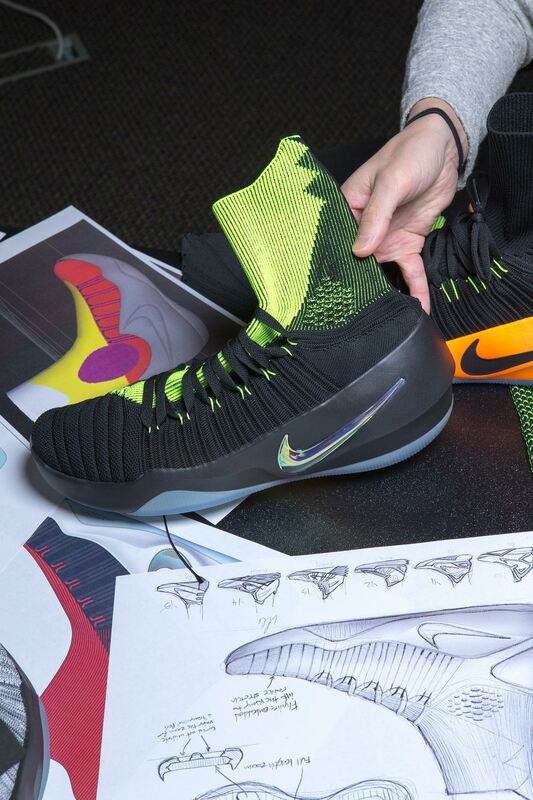 While already eight seasons in, it’s safe to say this is just the beginning for the Hyperdunk footwear family.